Disability rights advocate Nicole Kelly was born without her lower right arm, but using a cutting-edge prosthesis she got last year, she can now grind pepper, play cards, and open beers — just by thinking about the action. Kelly’s is just one tale from a riveting new Wired story about the steady improvements in prostheses that take orders directly from users’ nerves. The big step forward: software that can make sense of the complex signals from a specific patient’s nervous system. We’ve written about similar systems before, but this report is a striking example of how the tech is already changing users’ lives. 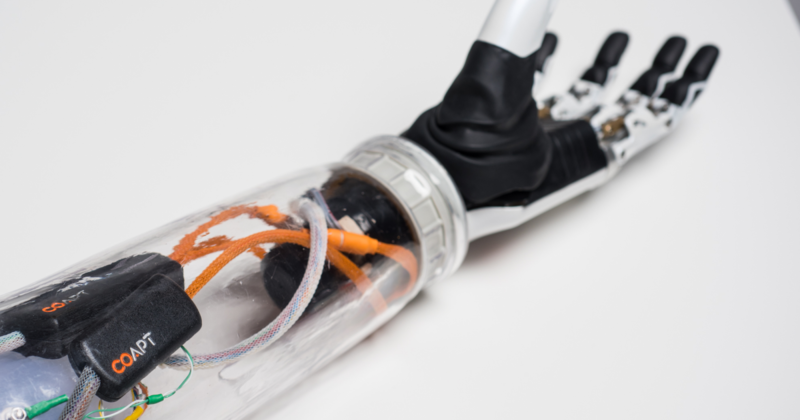 Wired talked to people using and testing prostheses containing control systems developed by Coapt and Infinite Biomedical Technologies (IBT). These systems pick up nerve signals via electrodes positioned on a user’s upper arm. The user then trains an algorithm to translate their body’s signals into natural motions. Kelly’s prosthesis, which uses hardware and software made by Coapt, even has a “reset” button that lets her reboot the algorithm if it’s acting up and retrain it, a process that she says takes her just two minutes after about a year of practice. One problem is that the tech is still very expensive. Coapt’s system costs between $10,000 and $15,000, its CEO told Wired. Infinite’s site doesn’t include a price for its setup, which it says will go on sale later this month. But then again, it’s hard to put a price tag on the satisfaction of cracking open your own beer.